East German culture has not lost any of its fascination for western scholars, not even after unification. It is cinema in particular that continues to attract interest. 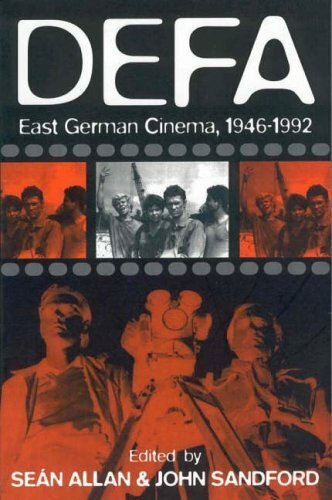 This volume, the first one in English, traces the development of the main institution, the state-sponsored Deutsche Film-Aktiengesellschaft (DEFA), that was responsible for film production in the former GDR from 1946 and ceased to exist in 1992. Although largely ignored outside the former GDR, DEFA produced a number of excellent films and scriptwriters that are examined here for the first time and presented to a wider readership. The themes covered by the contributors include the representation of fascism and antifascism in the cinema of the 1940s and 1950s, the conflicts between the state and the film makers of the 1960s, and the social-political criticism in the 1970s and early 1980s. Other chapters focus on key issues such as the representation of women, the concept of “Heimat, ” the reception of the classical heritage, documentary film making before and after unification, and the relation of DEFA cinema to other European film traditions. The comprehensive bibliography makes this volume an indispensable tool for students and scholars of the media. Text: Allan Sean, Sandford John. pp. 354; paperback. Publisher: Berghahn Books, 1999.